Tokio Marine America (TMA), a commercial property and casualty insurer and a subsidiary of Tokio Marine Holdings, announces the promotion of Ben Tuttle to Vice President of Inland Marine Underwriting. 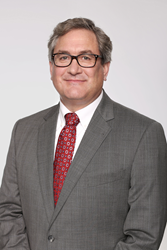 Mr. Tuttle will be responsible for leading TMA’s Inland Marine capability. Tokio Marine America offers Transportation, Construction, Fine Arts, Renewable Energy Generation, Jewelers Block, Equipment Sales & Rental, and a host of floater products. Mr. Tuttle is based in New York overseeing the Inland Marine team of underwriters in Atlanta, Boston, Chicago, New York, Philadelphia, San Francisco, and Seattle. Mr. Tuttle brings more than 30 years of Marine insurance experience to his new role. Prior to joining TMA earlier this year as Assistant Vice President, he served as a Regional President at One Beacon Insurance Company. Since 1992, Mr. Tuttle has been a member of the Inland Marine Underwriters Association, holding several leadership positions, including serving as a board member from 2015 - 2016. He holds a bachelor’s degree from Denison University and MBA from the University of North Texas. Headshots are available upon request.